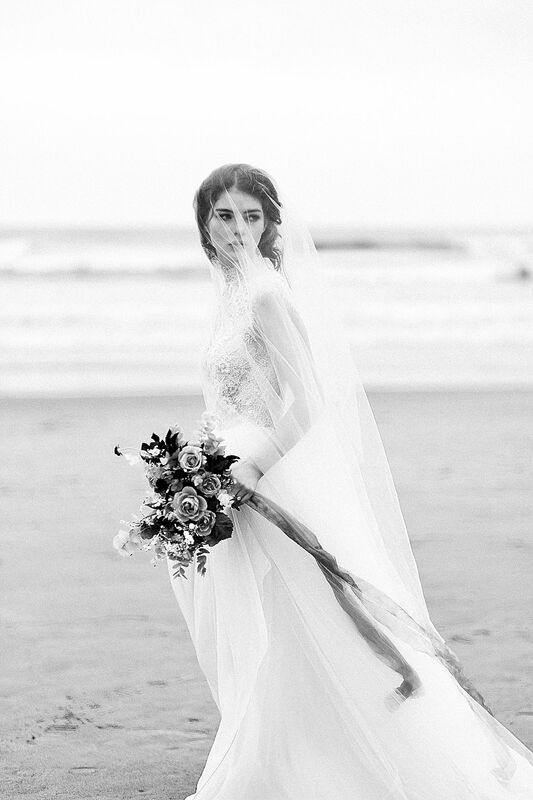 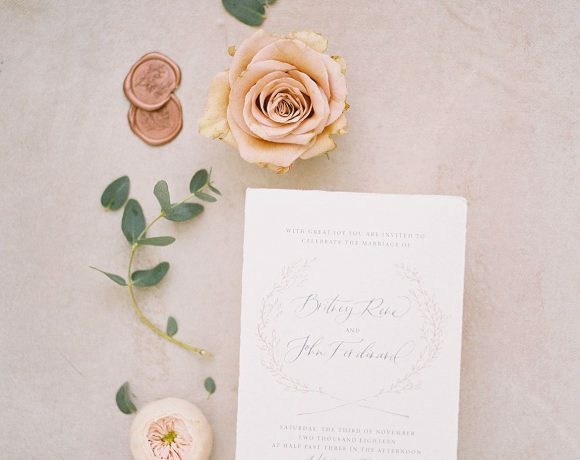 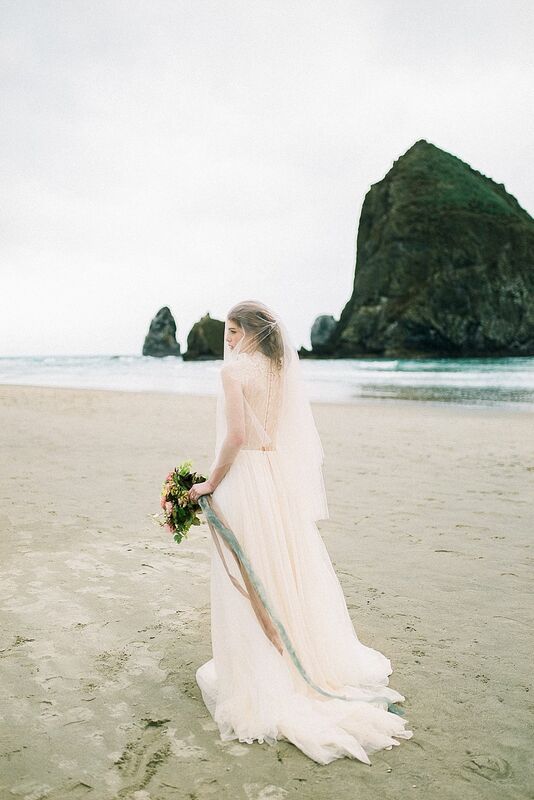 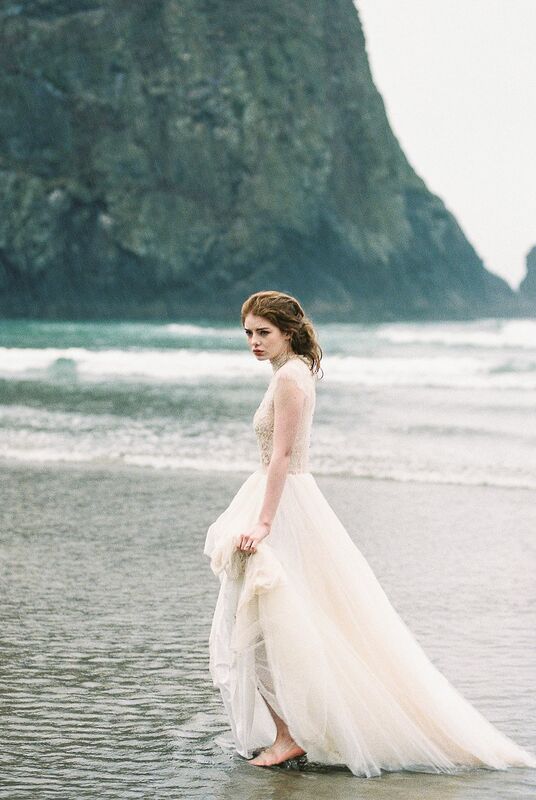 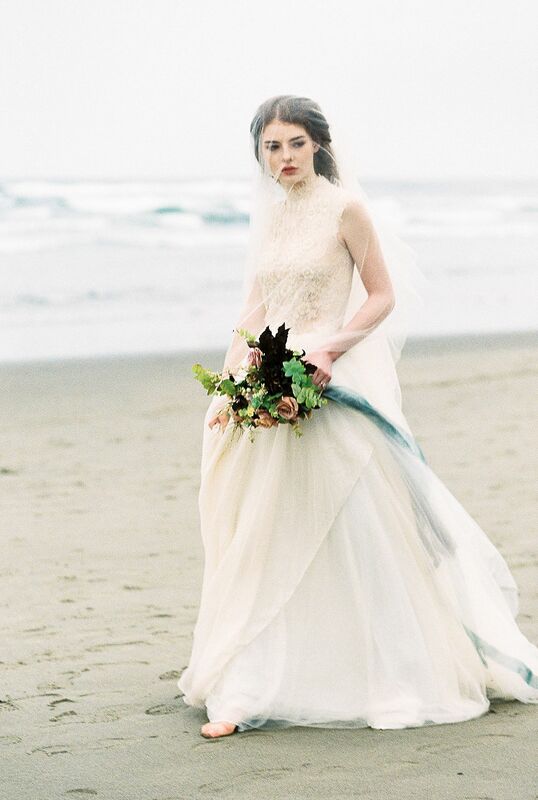 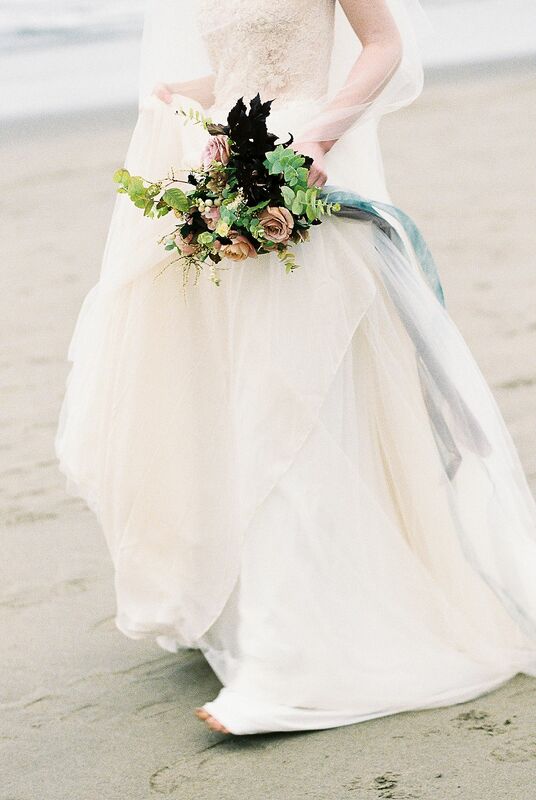 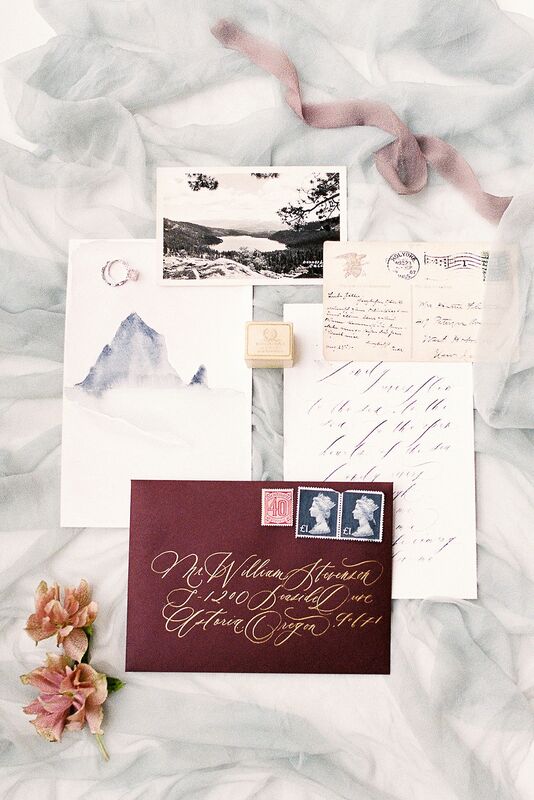 Stunning Oregon Grey Beach Elo..
There’s little more gorgeously grey than a cloudy day on the Oregon coast, and this Cannon Beach bridal session is its most lovely compliment. 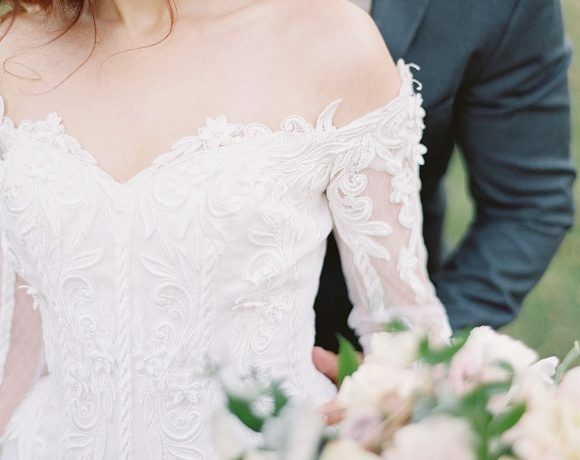 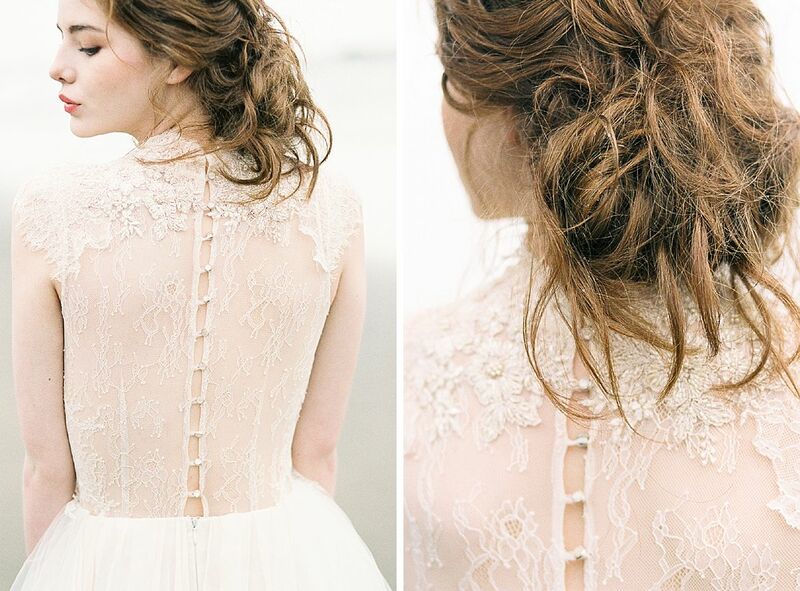 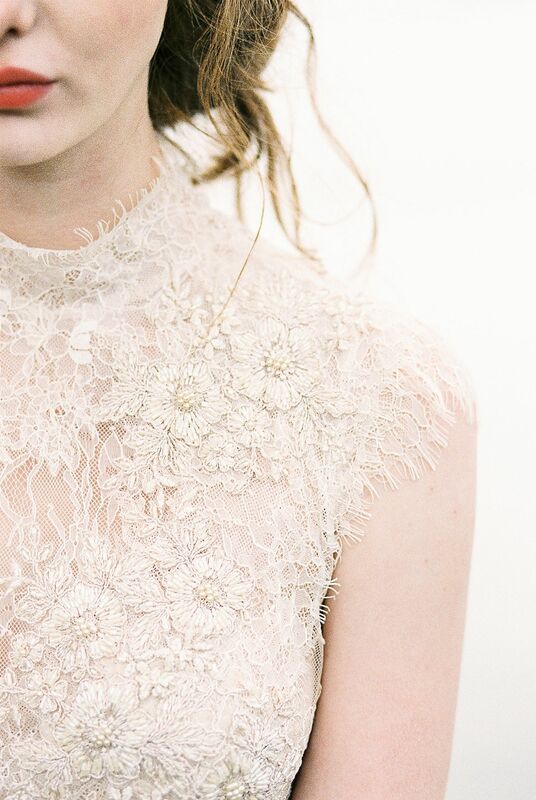 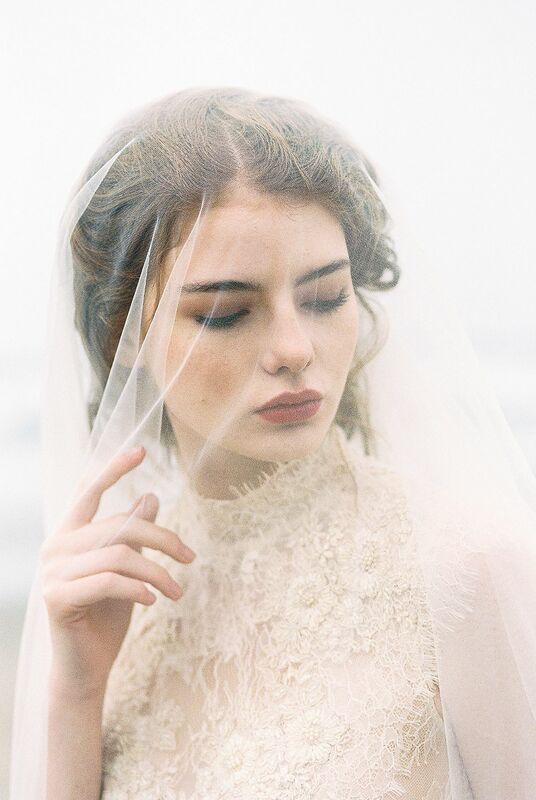 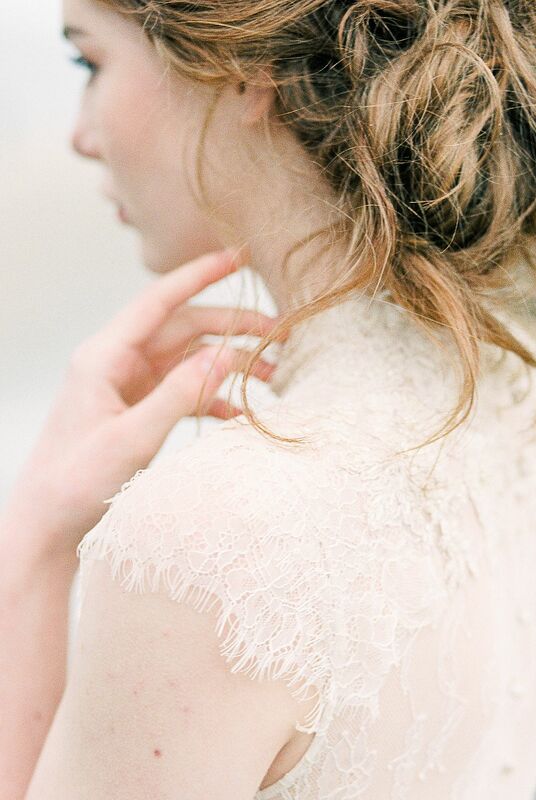 The foggy rock formations cast beautifully behind the deliciously soft details of a Mywony gown, all stunningly captured by Georgia Ruth Photography—perfection! 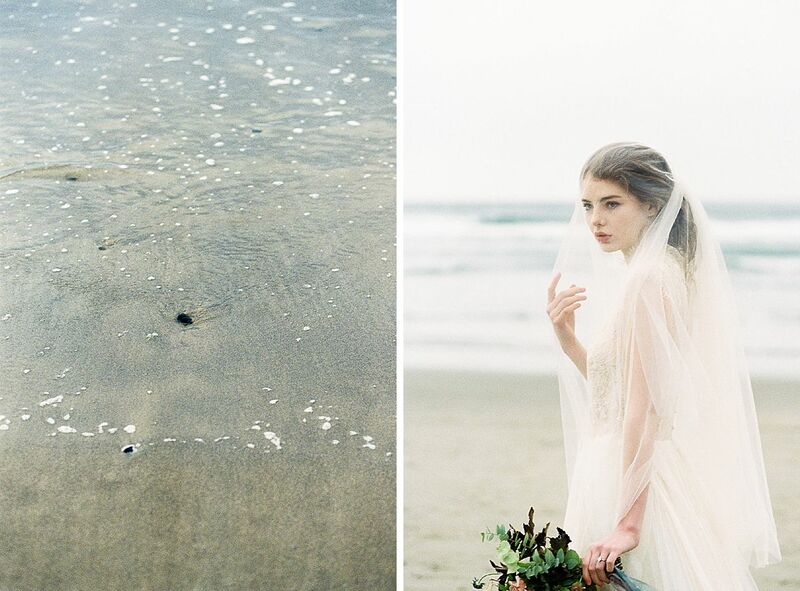 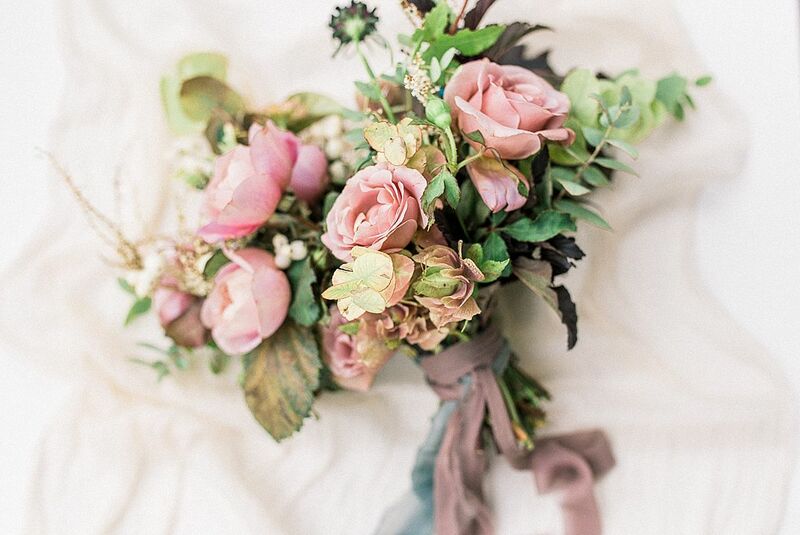 It’s enough to make you wish all bridal sessions were dusted with just a little bit of this captivating mist! 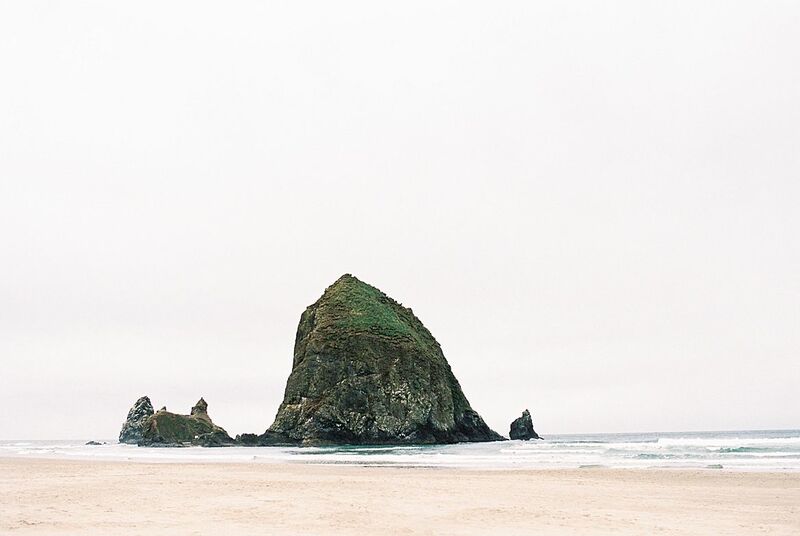 “Many people imagine the beach as a sunny and vibrant place, and in the summer that’s something that we get a small glimpse of here in Oregon. 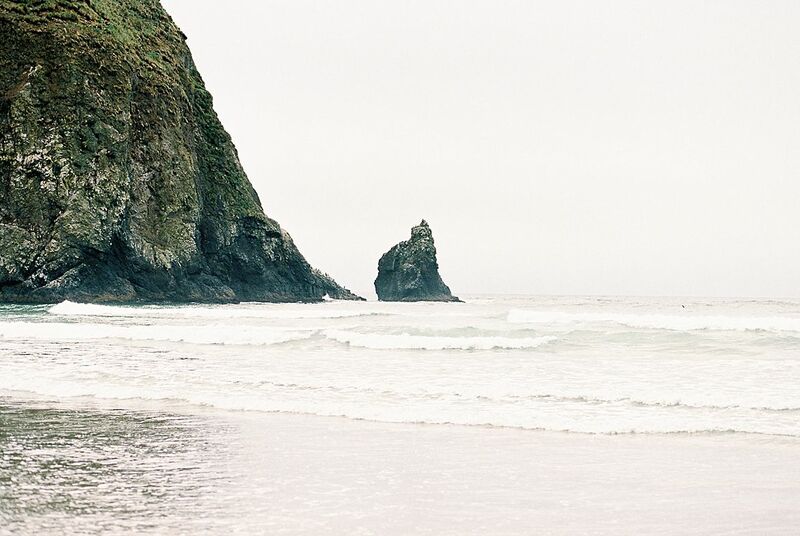 But for the majority of the year, the Oregon coast enchants us with it’s deep colors, rich tones, and stormy weather. 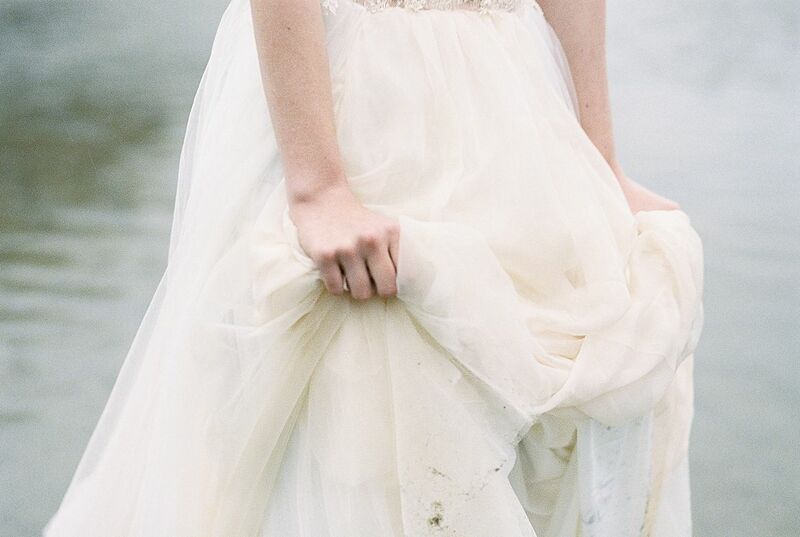 So it was no surprise to me that a gloomy and rainy day would be the setting for these bridal portraits. 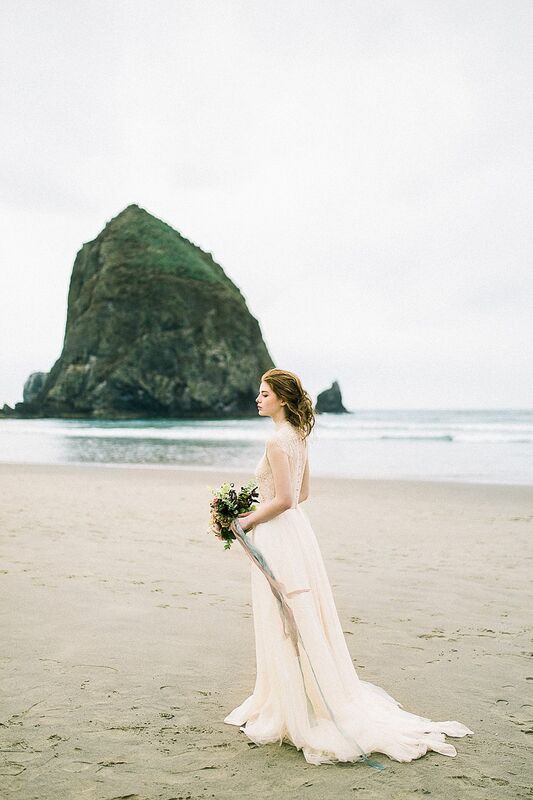 Even though rain is a common part of Oregon life, it’s not something many brides want as a part of their wedding day. 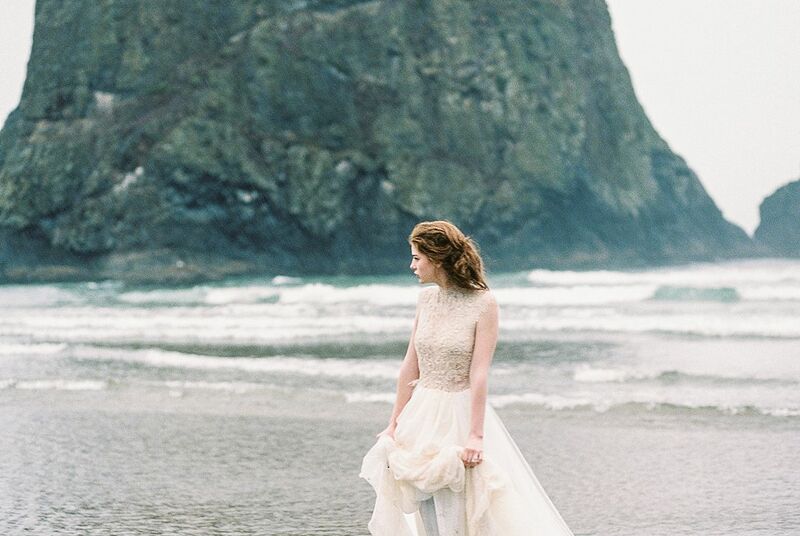 I was optimistic about the challenge of capturing the scene on film and excited for the opportunity to showcase just how beautiful it can be to embrace the weather and natural beauty of a cloudy Oregon day.